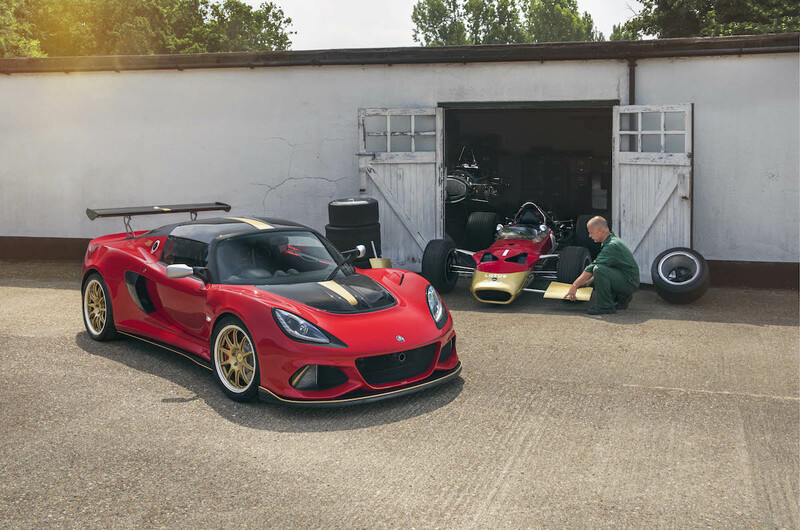 These one-off Exige variants pay tribute to the iconic Lotus Type 49 and 79 Formula 1 cars. Just like Porsche, Lotus is celebrating its 70th anniversary this year. While the actual Lotus brand wasn't established until 1952, company founder Colin Chapman built his first car, the Lotus Mark I, in 1948. 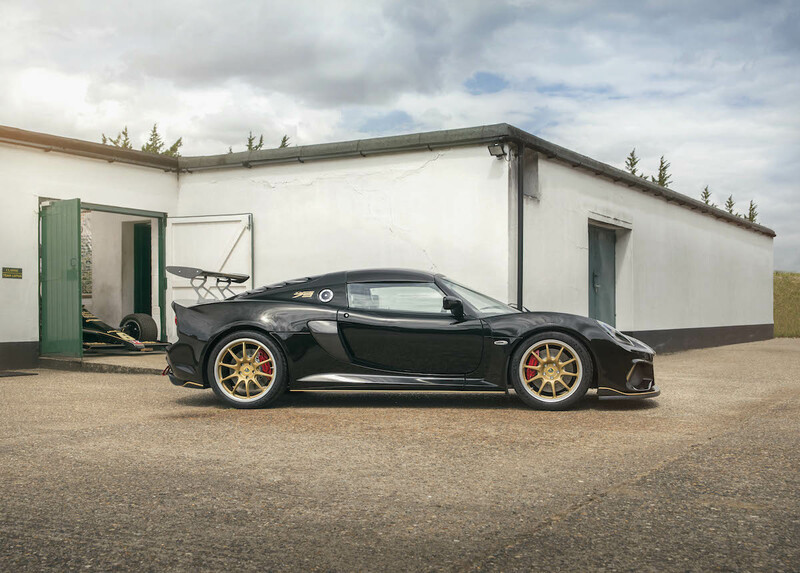 To mark the 70th birthday of its first car as well as a couple racing milestones, Lotus unveiled two one-off Exiges at the Goodwood Festival of Speed Thursday, with their own custom paint jobs and interiors created by Lotus Exclusive. 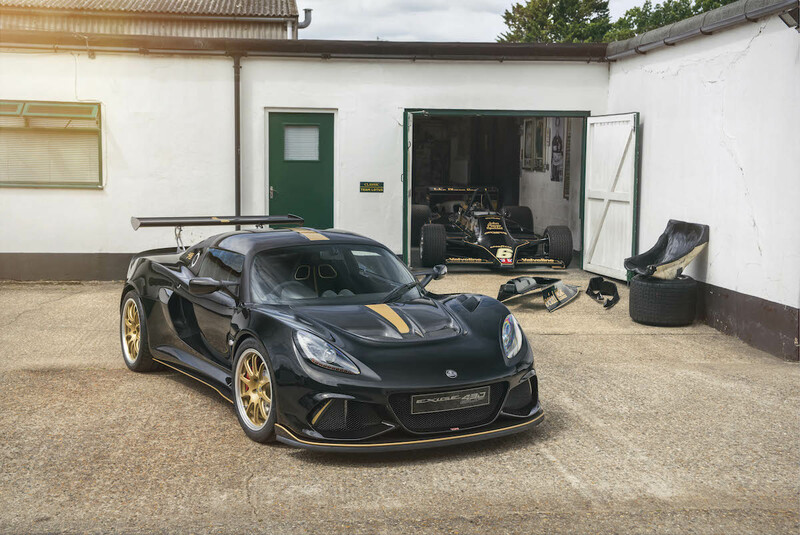 The Lotus Exige Type 49 and Type 79 are based on the track-focused Exige Cup 430, the fastest street-legal car around Lotus' Hethel test track in Norfolk, England. Both cars feature special Championship Gold exterior accents, gold-painted diamond-cut wheels, red brake calipers, special badging, black Alcantara-trimmed carbon fiber racing seats, and a wooden shift knob. Clad in a red, gold, and white paint job, the Exige Type 49's color palette is an homage to the Gold Leaf livery worn by Graham Hill's Lotus 49 Formula 1 car that dominated the Drivers' and Constructors' Championships in 1968. 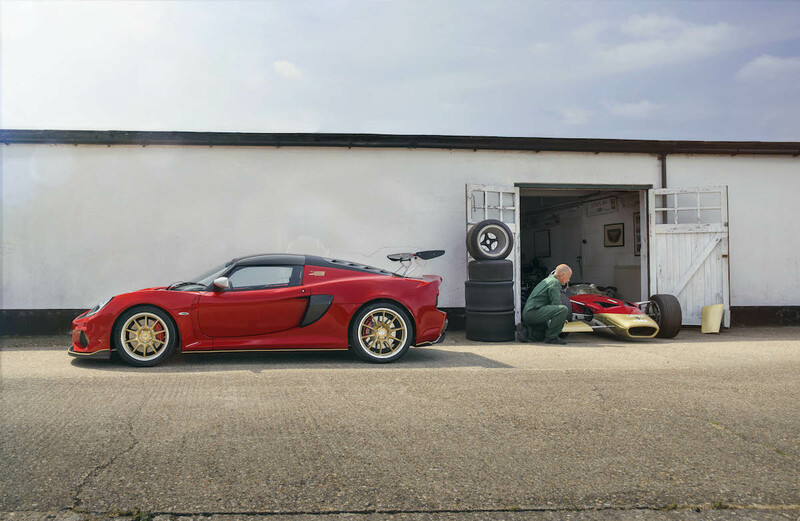 The Exige Type 79 celebrates 40 years of the Lotus 79 Formula 1 car, which debuted for the 1978 season and was the first F1 car to take advantage of ground effects aerodynamics to create more downforce, making it nearly unstoppable. 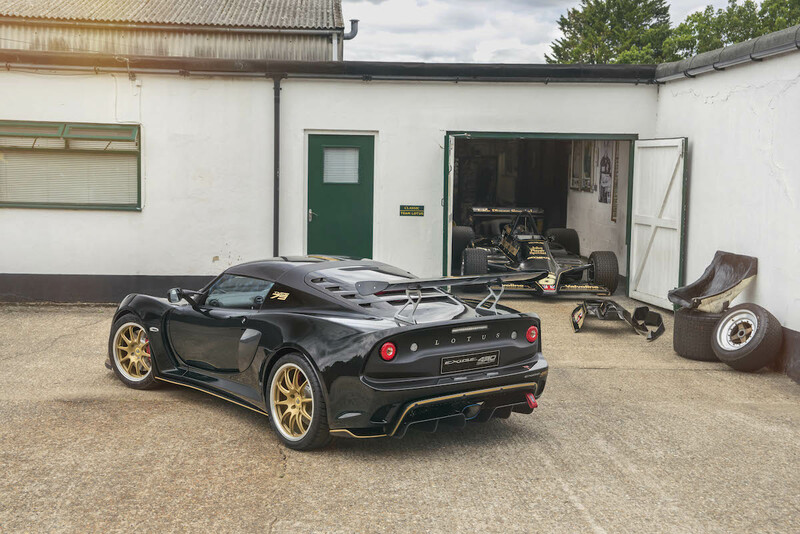 The Lotus 79's iconic John Player Special livery is embodied in the Exige's black and gold color scheme. These special edition Exiges are both on display at the Goodwood Festival of Speed, which runs until July 15. The Type 79 will be on display at the main Lotus booth next to Mario Andretti's 79 Formula 1 car that helped him become world champion in 1978. The Type 49 on the other hand is located at the First Glance paddock and will participate in the Goodwood Hillclimb alongside Graham Hill's Lotus 49, Jim Clark's Lotus 25 F1 car, Ayrton Senna's historic Lotus 97T F1 car, and a Lotus Type 56 gas turbine Indycar. Lotus will build just 25 of these collector's edition Exiges, paying tribute to the 1962 Lotus 25 Formula 1 car. The man who helped Lotus see profitability may be resigning, but he's not finished at Lotus yet.